After years of giving them a pass, the ABA is cracking down on flagging for-profit law schools that consistently produce few graduates with legal jobs while raking in huge bucks. But how did these schools manage to make it this far? Social anthropologist Dr. Riaz Tejani spent three years working at a for-profit law school and has compiled his research in LawMart: Justice, Access, And For-Profit Law Schools. He joins Joe and Elie this week to talk about his work. 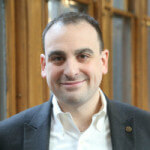 Joe Patrice: Welcome to another edition of Thinking Like a Lawyer. I am Joe Patrice from Above the Law, with me, Elie Mystal. Joe Patrice: You know not much. Elie Mystal: Happy birthday America. Joe Patrice: Yes, well we — this episode is obviously a bit separated from that, but yes the 4th of July did happen last week. Elie Mystal: I read a great article I forget where which is bad internetting by me, but there is a — I’m sure of you Google it. It’s a great article about how the 4th of July was like super celebrated by African-Americans after the end of slavery. They really adopted it as a super important holiday until the South was like — no, we can’t have you Negroes gathering, and just killed the celebrations. And now in the great words of Frederick Douglass what does the 4th of July mean to a slave man. Elie Mystal: This holiday is not, not the best one for me. But, that’s not what I’m pissed off. I am not pissed off about the history of slavery and oppression of this country. Elie Mystal: I’m pissed off about the fact that we don’t have more oppression on one particular issue. Why the hell are fireworks legal anywhere, why? I mean I get freedom, whoo. I should be able to blow my own hand off, woohoo. It’s ridiculous and I really didn’t get it, like I have people, my peoples are in Indiana, which has some of the most lax fireworks laws on earth. I mean you can buy — you can buy anything out there and set it off in your goddamn garage and have progressive come when you burn your house down. New Jersey has a full ban, and that’s probably because New Jersey people. New York doesn’t have a full ban which I didn’t really realize, until I moved out to the suburbs, because obviously the controls in the city are much tighter, but in the suburbs and certain counties you can buy certain kinds of fireworks. So we’re out, we don’t go, we don’t take the kids because of the traffic and the people and who needs it from where we sit on our balcony, you can see fireworks, right. You can see what they’re doing. Really with the fireworks that they throw off on the Long Island Sound, we can kind of see from our house. So that’s fine and they are five, they don’t care. But there are neighbors two houses down, they start shooting off fireworks. I’m like what the crap is this. How in the — how is that legal, because like I don’t know, they could shoot off the firework and it going to land on my house and burn my house down and I’m the one that is being responsible, like not to be all like a white woman but like I would thought about calling the cops. I didn’t because I’m not a white woman. Elie Mystal: But like I thought about calling the cops on my neighbors who were shooting off what I believed it to be illegal fireworks. Joe Patrice: Yeah. Okay. What I learned this year is there are some stages that people go through. There is the stage in your early 20s where you start going to a lot of weddings and it’s just like, that’s your time of life where you go to a lot of weddings. What I learned this year for the first time through Facebook was that I’ve reached the stage in my life where a bunch of people I know have an irrational hatred of fireworks. It wasn’t just you. It was tons of people being like I have a dog, so people shouldn’t be allowed to have fun and I was like I don’t understand how I got to this point, where a bunch of people hate fireworks, but no, I have no problem with them. They’re awesome. I did not buy a bunch of exploding things but you know. Elie Mystal: That’s because you grew up in like Oregon or Botswana or wherever the house, some place where like there’s not a lot to burn down. Joe Patrice: I mean, that’s literally that stupid Bundy Ranger Group thing was that they tried to burn down. My point is in Oregon but whatever. Yeah, no — I don’t understand where it came from, I never in my life seen people in my Facebook feed go nuts about how much they hated fireworks, but it was this year. This is the year I became old enough that I know a bunch of people who hate fireworks. I’m good to know. That magic number appears to be 27 I would say. Anyway, so you know what. Elie Mystal: If you want to, how do we do this? Joe Patrice: No, no, I’m not. I’m just seeing if you even remember the script that I’ve read so many times. He doesn’t but I do. Are you a lawyer looking for a new job to advance your career or you out there looking to hire someone to grow your legal team, in either case Major, Lindsey & Africa can help you navigate the legal landscape. With more than 35 years of experience in legal recruiting, Major, Lindsey helps law firms and legal departments thrive in today’s ever-changing market and matches lawyers and legal professionals with opportunities where they can flourish. Learn more at www.mlaglobal.com. Elie Mystal: If you get a new job you can shoot off some fireworks. Joe Patrice: That’s right, you can even afford more fireworks. Well, today we are not talking about fireworks for much longer. Elie Mystal: We are talking about things that explode. Joe Patrice: We are talking about things that explode. In particular, we’re talking about law schools and not just any law schools, we have that ATL ranking, US News episode where we talk about the elite of the elite law schools, but today we’re going to talk about a subclass of law schools that are generally speaking at the very low end of the totem pole reputation wise. These are the for-profit law schools. So we’re going to talk about that because we have a guest today. We have Dr. Riaz Tejani who has a PhD in social anthropology from Princeton and has a JD from USC where he was a fellow at the Center for Law, History, and Culture. But more importantly he for a while was a teaching law at a law school that he calls the New Delta Law School in his work for anonymity reasons but it’s a for-profit law school that is surely at the summit of its reputation. He did some work while he was there studying the process and has written a book called ‘Law Mart: Justice, Access, and For-Profit Law Schools’. He is going to talk to us about what’s really going on with this subcategory of law schools. So welcome to the show Dr. Tejani. Dr. Riaz Tejani: Thank you so much, good to be here. Joe Patrice: They are a routine punching bag at Above the Law’s coverage, but you went inside. It was kind of a guerrilla anthropology where you kind of — or Gonzo Anthropology I guess maybe is the right way of putting it, but you immersed yourself in it and learned what was going on, like what made you think about going this route? Dr. Riaz Tejani: Yeah I love the way you described it Gonzo and that’s a big influence that. I’m definitely walking the line between anthro and Gonzo journalism, but what brought me there, I mean essentially suspending disbelief and keeping, wanting to sort of see it for myself what this was all about and you have to remember that in the years when those got off the ground. There was some promise of a new model, of an increased diversity model and the schools were actually doing kind of well in terms of their outcomes. We find out later that the decks were pretty well stacked for them to do that in terms of faculty-student ratio, but initially it’s keeping an open mind. And one of the things we learned in as you’re doing training to become a social anthropologist is to suspend disbelief and go towards the margins basically and try to sort of seek out and shine light in the in the darker corners. So this was a very dark corner and I thought no, no harm in at least exploring it. Of course, the situation changed quickly in terms of what was going on in the economy, what was going on in legal services, really quickly changed within about a year of me getting there and I was just glad to be able to document it. Elie Mystal: So when the bottom fell out. I think you bring up an important point. In the beginning, they had the student-teacher ratio necessary to skill up, to train people who maybe came in with not the best preparation, with not the best test course to really kind of train them up to the point where they could eventually pass a State Bar Exam. When the bottom fell out, what changed? Dr. Riaz Tejani: Well the problem is that the two things were happening at the same time. One is that because they’re financialized in the way that they were. They were trying to grow at an explosive rate, to use your word explosive and then but at the same time the economy is doing what it’s doing, so you have about 2011 let’s say where the incoming class size is now five times what it was just maybe two-three years earlier and demand, the applicant pool was quite large at that time so actually LSAT scores had jumped up a little bit. But immediately there was fewer jobs out there. There was panic in terms of the next couple years of admission cycles. You have top tier law schools poaching off transfer students who performed well. And so that’s what changed is sort of — on the one hand, they you know take out more risk. They moved to larger buildings and invest in a little bit of infrastructure, even though it is minimum compared to other education context, but meanwhile they’re not able to sort of secure themselves over the next couple of years and that’s really what causes the pinch I think that you see in some of the behavior in my book. Elie Mystal: So here’s the question. Having been there, what do you think about the quality of student, the caliber of student, because one of the consistent criticisms that we — I’m going to ask you about two criticisms, but this is the first one. One of the consistent criticisms that we get when we write about law schools is from students who say, just because I had a bad LSAT score, doesn’t mean that I’m going to be a bad lawyer. You can’t know what my potential is just based on my test scores and my GPA and all this kind of stuff, and to which I generally say, no, I’m not saying that I’m saying that if you have a bad LSAT score that tells me something about how good you are at taking tests. And at the end of the day you have to take a pretty big one to be a lawyer. What is your thought on the caliber and the quality of student that these schools are admitting? Dr. Riaz Tejani: Yeah, I think no, that’s a really good one. I would just use the phrase highly variable. I mean the years that I was engaged with them, you had students skimmed off the top transferring to as I said what are now top 30 law schools pretty handily and performing actually well at those. I taught some of those students and they were excellent and then you have the others so you have this bimodal distribution in terms of skill level and preparation. But as far as predictive quality of LSAT and all that stuff I agree with you. I think it’s not determinative but it’s definitely not irrelevant and so the question is, what are you plugging in to those students in the meantime you take them in, what kind of support and additional training are they getting in the interim before they face that big final test at the end. What you have at some of these schools you guys referenced Arizona Summit and I just happen to know about. Joe Patrice: Oh did I? Dr. Riaz Tejani: Yeah, you did, and no, this is common knowledge. This is not nothing, they famously changed, I mean my book is about New Delta but it’s public knowledge that Arizona Summit changed its curriculum drastically to sort of cope with all the conditions we’re talking about. When they did that the criticism on the ground I mean amongst their own professors was this is going to screw up bar results. These courses no longer corresponds to bar tested subjects. So instead of boosting the support for facing that test after three years hence, they actually did things to undermine the students who are already coming in somewhat precarious facing that. Elie Mystal: This is a point that I know we have a lot of students that listen sometimes, a lot of pre-law students to listen. This is one of the big differences I think between your kind of middle tier to lower tier to bottom tier school versus the elite school. Kind of the further down you go on that elite scale, however you want to define it, the more the curriculum needs to be tailored to bar tested subjects, because the more worried they are about you actually being able to pass the bar. Joe Patrice: I mean Yale is just teaching you poetry. Elie Mystal: I mean they’re not even bothering to the bar tested subject, right. They are trusting you, the kind of Yale student, the Harvard student, the Stanford student, they figure that you’re going to be able to study for the bar in six weeks. Elie Mystal: And having gone through the process, it’s a stressful six weeks, but you can’t like — if you have this certain kind of like preparation and training and whatever, you can cram the bar in six weeks and that’s what Harvard makes you knew. It doesn’t spend three years teaching you about the bar exam, doesn’t really care about that. Down on the other end of the scale once you get towards I’m not going to State University of Northwestern Vermont, that’s what I really mean to hammer in those bar tested subjects. Dr. Riaz Tejani: Yeah absolutely. And the question is what do faculty want to do, what are they up for and how bored are they of themselves and so forth, but if you’re truly committed to a law school model that’s aimed at the at-risk students then you’re committing yourself to preparing them for that exam and you got to be willing to do that at the schools I observed, the faculty actually were very much willing to do that, that’s the sad part is that. No one had pretensions of teaching poetry in the law. They actually were happy to be teaching 13:22, Torts 1 and 2, basically doubling up what you would get at a top-20 law school on any of the bar tested subjects. It was decision makers elsewhere, sometimes off-site kind of mandating that they shake up the curriculum why because there is some investors somewhere that need to be comforted. Joe Patrice: Yeah. Well now one of the criticisms — so many times when we write about this and we make fun of these — we not make fun of, just say that these schools are a problem, and are underserving their students. One criticism that always comes back from the schools themselves and their supporters is well, you hate diversity for criticizing us. We are the people out there who are bringing in minority students in large numbers that the other law schools aren’t and we’re here actually helping diversity. We have taken the stance at our website that that’s a noble cause that they are exploiting and they are pretending to care when they’re really just taking money from these kids and leaving them in the lurch. But you’ve actually done though like we just pop off about that but you have done the actual work, witnessing all of this and your conclusion seems to be largely the same. Dr. Riaz Tejani: Identical. Identical. And what my book is actually doing is going sort of deep into it to say well if that’s the case, if you’re instrumentalizing diversity to kind of paper over a financial model, a dubious financial model, what does it take to get people to buy into that, what does it take to get people coming in day after day, contributing to that. And so, my work if it’s among other things that it’s doing is sort of pulling back the curtain and saying like well, hey faculty how did you feel about the work you were doing? Did you feel like you were preying upon something or did you feel like you were serving a cause? And as you can see, and it kind of, the book kind of tracks the evolution in thinking, people talk about well in the beginning, this was a great opportunity we were doing something kind of radical and by the end of, it’s like you know I feel bamboozled. The scary thing is that that’s sometimes the same narrative, the same story, you see unfolding with like cults. Like Jonestown was a highly diverse Church in the Bay Area before then they got pushed out and this is sort of this utopian ideal that starts and then you know goes a ride. That’s kind of a big jump in terms of the analogy but it’s actually some of the same behavior. Joe Patrice: One line from an article that you wrote which really resonated with me that kind of hits at this disingenuousness for a cause. Aligned in this article was, in this way diversity became one of the school’s strongest assets. The very groups most in need of regulatory protection became the means by which executives could argue for increased marketization. Basically, they utilized the idea of diversity as a way in which they could strip away more and more regulatory protection. And in this case, the regulatory protection, in theory, would be coming from the ABA who is the entity who’s supposed to be policing this accreditation which for years they’ve started to and that’s not going well. Elie Mystal: This segue into my next question actually was, what do you think having been there, what do you think the ABA needs to do to ameliorate the problem that these schools present. Dr. Riaz Tejani: Yeah that’s always the question. I mean the first disclaimer, I say is that I’m trained as a researcher descriptive sort of analysis of what’s going on and less so as a policy sort of expert wonk to come in with solutions. Elie Mystal: At least you’re trained at something. I’m trained at fortnight. Dr. Riaz Tejani: But like you one has to think about once it has to engage this question so like at the most basic level, they have to be doing their job as you know they’re fulfilling their mission, which is to enforce those standards the way they’re written. I think there’s a very telling little anecdote that I mentioned in that article you have where after a site visit from the accreditation team back in let’s say 2012-13 at the school I observed the team leaves and then there’s a meeting held and administrators basically tell their faculty, all right guys, I know everyone’s a little bit nervous but don’t worry we’ve been assured by back-channel communications that their approach will be let the market decide. And to me, that’s so telling as the regulatory body has sort of imbibed that logic of the market should just decide this anyway. So sitting on their hands a bit, showing faith in forces that don’t deserve our trust has been the problem. And so, what they’re doing in the last couple of months in the last year, cracking down is exactly what was needed. It, of course, remains to be seen how the litigation is going to play out now but I think it’s you know a start on the right foot. Joe Patrice: The scariest observation that those of us following those litigations are noticing is that the ABA finally is starting to do this crackdown that we needed and is now running into the problem with allowing a market player to make a bunch of money for a long time. Joe Patrice: The schools are hiring Paul Clement and fighting back and the ABA doesn’t — we started getting hints that maybe the ABA doesn’t have the financial wherewithal to engage in that fight. Joe Patrice: And then just this week, we have access now publicly to a what was an internal ABA Memo saying that they believe the trend line is that they will be financially unviable within the next few years unless something massive changes, suggesting oh my God, our regulator of this may well be out of business. Dr. Riaz Tejani: Yeah, it just underscores the point that timing matters. Timing matters in these things. You don’t just come in at the eleventh hour to do a job like that. All the harm that was generated in the interim, not to mention the shift in the political climate were as we all know, Department of Education for profits, the whole climate has shifted. Elie Mystal: Exactly and that’s why I think ultimately and as you point out, it’s not going to happen anytime soon. But ultimately this has to come from the Department of Education. Elie Mystal: The ABA is not strong enough and financially strong enough, I don’t think it has the will necessarily to do this work. Eventually, it’s going to have to come from the Department of Education and I think Arne Duncan is — a wait. Joe Patrice: Yeah, he doesn’t work there anymore. Joe Practice: What this cool charter school going to do? They’re cool info law run charters, yeah. Elie Mystal: That’s how progressives usually think about the post. Instead, the next time, they need to think about it indirectly in terms of higher education for-profit education because I mean we’re talking about this in the context of law schools and there I think though for-profit law schools are some of the worst offenders. But let’s not forget the entire industry of for-profit colleges, which are kind of just as bad and preying on the exact same people, that’s why I’m saying you need an overall regulatory approach, the ABA alone can’t do anything. Dr. Riaz Tejani: And not only that, but when you have ABA approval on these running for five, eight years at a time that’s a seal of approval. That’s not just like hands-off approach. The ABA has accredited them so if you’re a novice pretty one out applying for school you think, oh great ABA accredited, it must be okay right. Joe Practice: And back to the discussion of how they’ve been, they kind of draped themselves in the diversity argument to do the damage. There are some law schools that are also at the generally in the lower tier that we criticize that — I when I get pushed back from students from there, I feel their argument a little bit and that’s kind of some of these HBCUs who have traditionally served minority communities and they often are towards the bottom of these two. And I’ve always had a little bit of tinge that maybe they’re a different model, but one thing that showed up that I noticed in your work is, there’s some HBCUs that aren’t immune to the predation logic. Dr. Riaz Tejani: Yeah I think that’s right. I mean it’s survival at this point after the downturn, it’s been survival for so many of these institutions. But I agree with you. I think it’s fair to make a distinction there between for-profit or not-for-profit or financialized or not financialized in that way because even if it’s simply well it’s more than just a symbolic distinction but even that alone is important. I mean what are we saying when we let this thing run on to both sides of a fence and on one side, it’s at least with some sort of charitable mission statement alone and on the other side, you know perfectly well, this is going to a private equity group. I think it does — it’s fair to make the distinction but both have to be dealt with I guess it’s a matter of sort of starting with the worst offender. Joe Practice: And to some extent, they’re coming together going back to the summit discussion. They signed a deal with an agency. Dr. Riaz Tejani: Yeah that’s right. That’s right. And this is back to — this all that my work and a lot of what you guys are saying is actually this is social philosopher, Nancy Fraser, who had some really good work a couple of years back on the — she describes how we’ve gotten to where we are and basically argues that after the 60s, the sort of idealist social justice mindset, was sort of taken over or co-opted by the words neoliberalism but you don’t need that word. It’s just the sort of like less a fair kind of economics marketization, market face, and that somehow social justice and markets got deeply tied together and the idea of a strong regulator got pushed aside. And so when you see HBCUs partnering up with a law school owned by a private equity firm, you’re seeing exactly that. Now there’s suddenly faith in this kind of entrepreneurial social justice rather than some kind of previous version of it, which would have been more regulated. Elie Mystal: And to be clear like I’m not a person who’s against markets in all cases. I’m not a communist. I’m probably a socialist but I’m not communist, I don’t think but the pushback that I always try to give to the free market, lays a fair capitalist in my life of which there are a few, is that markets only work when you have transparency. Elie Mystal: And one of the keys of the for-profit sale is to not have the kind of transparency that people need to make an informed decision, right. I talk to lots of students especially younger African-American students who are trying to pick their way through, how to get into law school. It’s particularly difficult I think for AfricanAmericans and for Latinos who often are not just the first people on their family going to law school. I mean that’s almost obvious, right. A lot of times they are the first people in their family going to college. A lot of times, they don’t have any other lawyers in their life, right. They became interested in the law because some lawyer did something to their family not because some lawyer was a mentor to them in their upbringing. So, they really have no idea of what the operative difference is between the Harvard and the Yale. They don’t have a clue of the operative difference is between Tennessee and Vanderbilt and Emory and Charlotte School of Law. And that’s where I say the transparency is so important. If you give them the information, they are more than capable of making an intelligent choice for them and as you point out doctor, there are students who can go to these schools and succeed. But at least in my experience, those students are the ones who know what they’re getting into at the highest level. Dr. Riaz Tejani: Right and its two levels of that kind of information asymmetry. There’s what is the school going to give me? What are they actually doing there? And the other one we don’t talk about that much is in many of the minority communities, there’s a larger just general faith in the law and injustice and then the gains that have been made over the decades now being undone to some extent. But this dual sort of asymmetry whereas, I think yeah, the savvier incoming students tend to have for all these reasons you’re describing more of that information. And so, I agree with you. I think that there’s a pretty good economic sociologist out of Princeton Viviana Zelizer and she talks about what she calls a multiple markets perspective saying basically, you do want to have free-flowing markets in some sectors and you want to have very tight protection in others, and the distinction tends to be around public versus private good. Joe Patrice: Well this was fantastic. Thank you so much for joining us and discussing. Elie Mystal: Can’t wait for the hate mail. Joe Patrice: Yeah well, we’ll get some. But I generally think people get this but yeah, thank you so much, thanks for doing all this work like actually like more so than us just kind of saying this like somebody who actually can go in and talk about the details of it, and that’s in the book Law Mart: Justice, Access, and For-Profit Law Schools. Thanks again for joining us Dr. Tejani. Dr. Riaz Tejani: Thank you both guys. Joe Patrice: For everybody else, thanks for listening. You should subscribe, you should review it, you should write a review, give it stars, tell your friends, go over to your neighbor. Elie Mystal: Especially if they’re thinking about going to law school. Joe Patrice: Go to your neighbor who you’ve never met. Tell them that’s what they need to be doing is listening to Thinking Like a Lawyer. All of those things, read Above the Law as always. Follow us on Twitter, he is @ElieNYC. I’m @JosephPatrice. 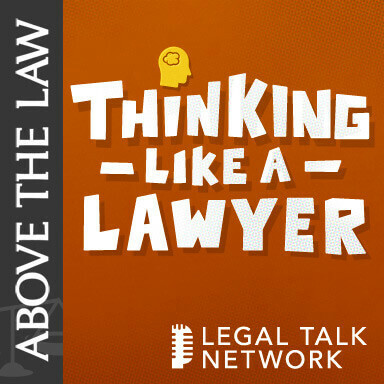 Listen to other Legal Talk Network shows. Thanks to MLA for sponsoring this episode and that is everything I’ve got. We’ll talk to you soon. Elie Mystal: Have a nice one.